Though it may not be so obviously apparent, due to the somewhat miserable weather, Spring has finally sprung here in Melbourne town. Flowers are beginning to blossom, there's the smell of freshly mown grass in the air and, most importantly, I don't have to dress myself in a million layers so I look like the Michellin Man every time I step out of my door. Personally, I find this time of year extremely motivating. I think it has something to do with all the new growth...after all, if mother nature's putting in all this effort then surely we should be able to manage a little self improvement. The past few days have been particularly productive for me. I've managed to unpack my suitcase after my European holiday, find another job and begun my ritual Spring cleaning. But this is no ordinary Spring clean out, oh no. 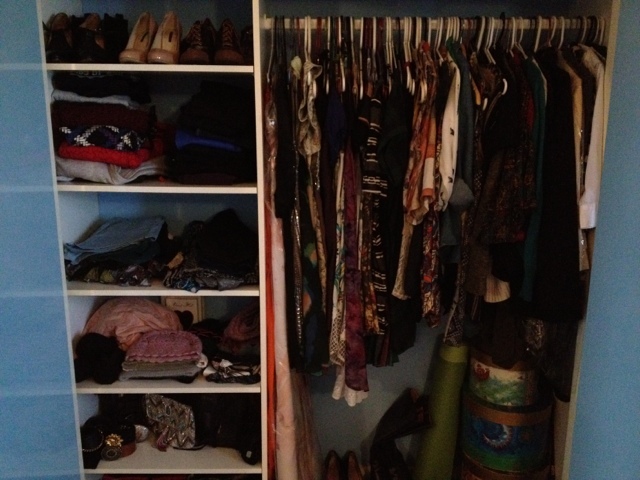 I'm talking about the clean out that brings a nervous sweat to fashion hoarders everywhere. The clean out that strikes fear into the very heart of every op-shopper who too often finds themself saying 'I probably won't wear it, but it's too cheap not to buy!'. Yes people, you know the one I'm talking about...the wardrobe clean out. It's not that I consider myself to be a clothes hoarder (a shoe hoarder perhaps, but that's a whole nother therapy session all together), but we're all guilty of keeping an item (or twenty) in the hopes that our money didn't go to waist and that one day we will find the perfect opportunity to wear said item. I, on many occasions, have found myself thinking, 'I should probably keep this bright purple off the shoulder top, just in case someone has an 80's themed party!'. But not this time. This time I had to be brutal. As previously mentioned I've just returned from a little European jaunt, however, my suitcase (cough, extra eleven kilos) was not so little when I got back. 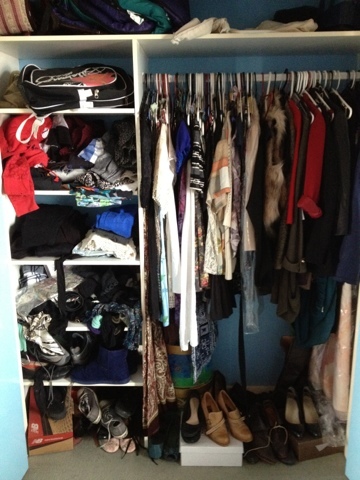 Staring into my dark, overcrowded wardrobe, trying to figure out how exactly how I was going to fit in the eight new dresses I bought, was like playing a game of impossible fashion tetras. And so, I bravely went where no man has gone before (hopefully. Unless my brothers been wearing my skirts again) and plowed head first into the challenge. At first I was timid, gently sorting and thinking logically. But after a good hour or so I was like some kind of sartorial Judge Judy, sentencing about a third of my clothes to the rubbish bin. I was a woman possessed and no slightly too small top or old pair of shorts were safe from my wrath. It is truely interesting what one finds squashed at the very back of ones own wardrobe...why did I keep that pair of size six pink ballet flats? And why do I have a wetsuit? !